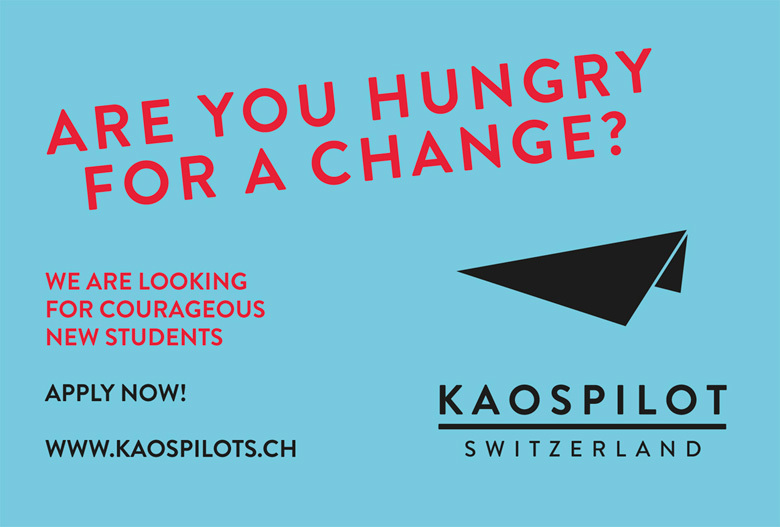 The KaosPilots Switzerland are right now looking for new students for their Team #5. Maybe you could see yourself as a part of the team? Or maybe you know a person who could be interested. It’s time to apply! If you want to check out the school and the people behind you can show up to Open Doors on March 17th in Bern, Switzerland. 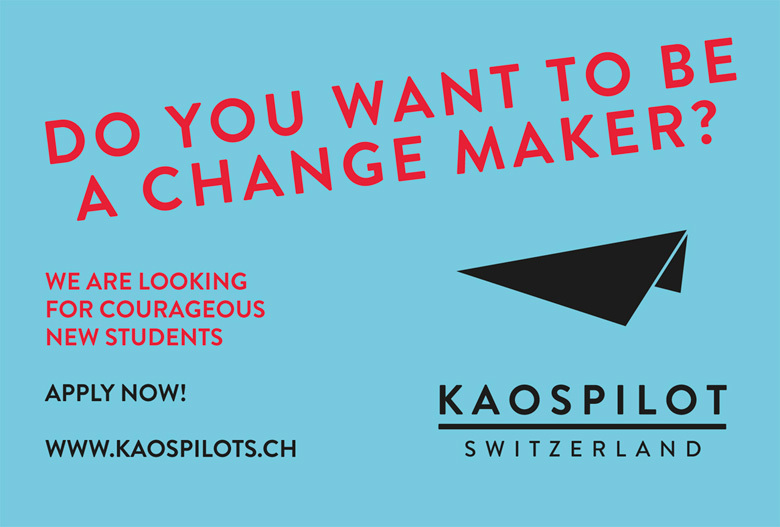 The KaosPilots Switzerland is school where creative leaders, responsible entrepreneurs and change makers meet and learn, practice and have fun and work together in teams. For more info, and if any questions you can always ask Lower East, we do know a lot! And we do also work closely together with the KaosPilots.